In a new blog series, Body Gears physical therapists share their perspectives on what it means to work at a company that is quickly bringing Functional Manual Therapy™ to the forefront, reshaping the industry and healing patients. In this installment, Ankit Patel shares his PT Perspective. For Ankit Patel, PT, MS, the Body Gears facility in downtown Winnetka must seem a far cry from his university days in India, where he earned his PT degree from Rajiv Gandhi University. On a frigid day in January one cannot imagine how Patel came to be here from halfway across the world. That is, until you hear Patel explain what it is he was searching for in his work as a physical therapist (PT). 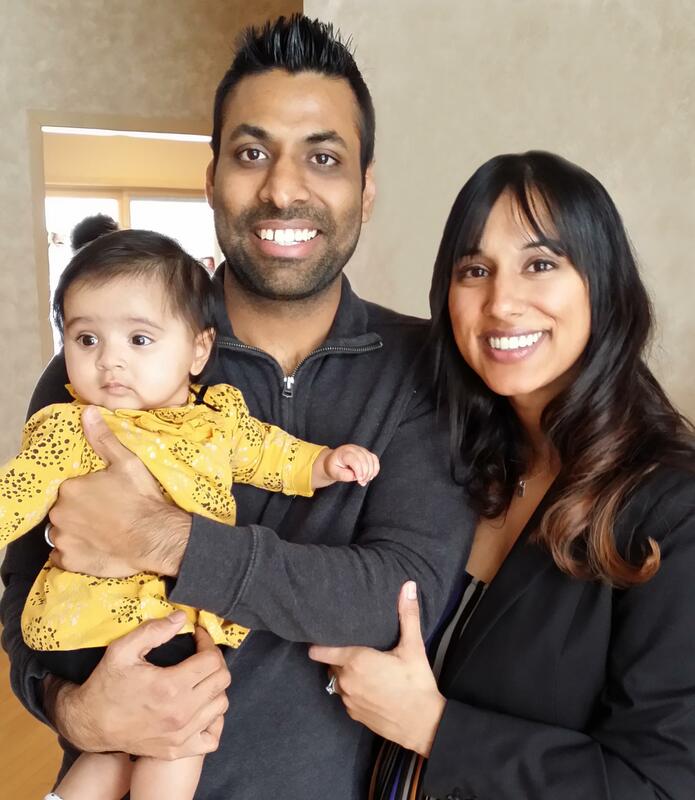 Young and animated, Patel moved to Buffalo Grove with his wife and newborn baby after living for several years in Minnesota, where he earned his Master of Science (MS) in Exercise Physiology from Minnesota State University Mankato, and then worked, first at nursing homes as a pain expert, and then with primarily the outpatient population at St. Vincent Hospital. He wanted to improve his technique in manual therapy, which he was exposed to in India, and to find a practice that focused completely on quality rather than being volume based. He found Body Gears through the Institute of Physical Art, then googled it and came across the company website. There was nothing like Body Gears in his area, so Patel decided to focus on working for the company, on improving his skills and helping the community. He had never come across Functional Manual Therapy™ (FMT) in all his years of practice but when he began working here in November 2015 it all began to make sense. Patel feels that Body Gears has done an excellent job maintaining a mindset of quality and how to expand that quality by using clinicians and the experience they already have to pass along knowledge and help other PTs. The other thing that stands out to Patel at Body Gears is that everyone is on the same page in terms of treatment, where the company is headed, and how each therapist can be part of the team to help Body Gears get there – something that wasn’t ever communicated at former places of employment. When Patel does not have a full caseload he helps the other therapists with their cases – something familiar to all Body Gears PTs and something Patel has never seen happen anywhere else. He notes that volume-based companies don’t seem to be particularly concerned with the quality of care a patient is getting. In addition, as with many of the Body Gears PTs, Patel is working toward getting his FMT certification. He plans to take a heavy course load of four classes this year to that end. The education will help him to be a well-rounded clinician with a wide variety of knowledge and expertise, another long-term goal. Body Gears, sunlit through the floor-to-ceiling glass windows, and cozy warm inside, seems so far from India, but for devoted PTs like Patel, traveling this distance is worth his end goal. Body Gears is helping to put FMT in the forefront of physical therapy. The Institute of Physical Art has established a clinic in Delhi since Patel’s move to the United States, and he is sure local communities will take notice. “India has a lot of therapists and they are looking to do things differently,” said Patel, who considers himself fortunate to help pave the future of physical therapy with Body Gears.